Most homeowners don’t think about the problems trees could have before they buy them. They base their decision on the tree’s aesthetics and what’s available at the nursery. However, many popular tree and shrub species in Northern VA are prone to diseases and insect attacks. Planting a tree or shrub species that is known to have lots of problems can cost you a lot of money in preventative care and maintenance. If you’re looking to plant a new tree or shrub this spring our arborists suggest you opt for a species that are considered problem free. To help you out, our Arborists have compiled a list of trees and shrubs that have very little to no issues with common diseases and insects in the area. 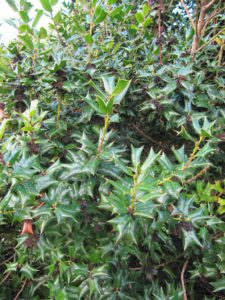 Native to China and Korea, the Chinese holly is a round, evergreen shrub with glossy, spiny leaves and large red berries. Growing to about 10-15 feet wide and tall, this beautiful evergreen is great at withstanding heat and drought. Some diseases are reported in other areas, however they are rarely seen in Virginia. If you love lilacs but dread dealing with powdery mildew, the Meyer Lilac is for you. This medium, dense shrub, is resistant to powdery mildew, a fungus which frequently afflicts the common lilac, Syringa vulgaris. The Meyer Lilac’s flowers are lavender and highly fragrant. Flowering occurs in April. 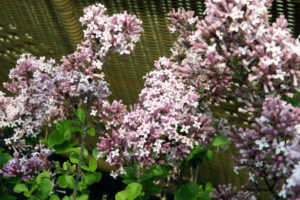 For maximum flowering, plant the Meyer Lilac in full sun. 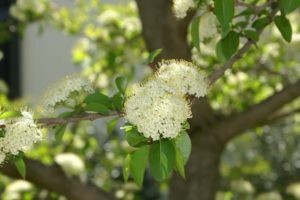 Native to the eastern United States, the Blackhaw Viburnum, is a multi-stemmed large shrub or small tree. In the spring new leaves emerge copper-colored followed by white, flat-topped flowers. In fall, it’s black fruits contrast with the pinkish-red foliage. This species has no serious disease or insects pests. It is also adapted to many soil types and can sustain sun or shade. This medium native shrub produces pretty white flowers during the summer. Growing 3-6 feet tall, this species prefers partial shade but can be grown in full sun if given enough water. Large flower cultivars such as ‘Annabelle’ are known to have stems that flop from the weight of the flowers. 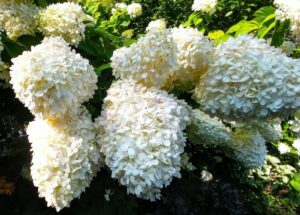 Other hydrangeas that are relatively problem free include Bigleaf Hydrangea (Hydrangea macrophylla) and the native Oakleaf hydrangea (Hydrangea quercifolia). Native to the eastern united states, this shrub attracts a wide variety of butterflies and songbirds. It provides beauty in all four seasons. 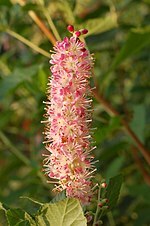 It has glossy green leaves in the spring, spiky white or pink fragrant flowers in the summer, golden yellow leaves in the fall, and delicate dried seed capsules in winter. In addition this species is tolerant of wet soil. This small tree is native to China and Japan. 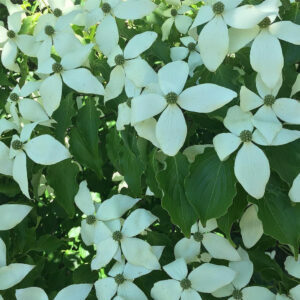 Unlike, the native flowering dogwood, the Kousa dogwood is resistant to Anthracnose, a fungal disease that has killed many native dogwoods throughout the East Coast. Although not identical to the native dogwood in looks, the Kousa dogwood still sports white flowers in May and June. In fall, the Kousa Dogwood’s leaves turn a beautiful purple and scarlet adding intense color to your landscape. 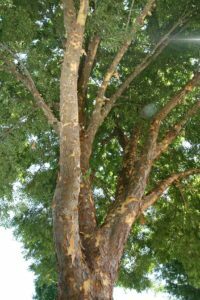 This medium to large tree has a wide growth habit and sports attractive mottled bark. 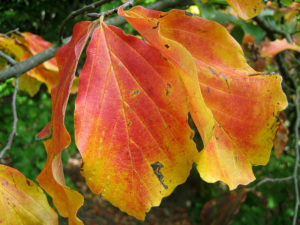 In the fall, the Persian Parrotia has showy foliage color which varies from yellow to orange to purple. It prefers well drained, slightly acidic soils and full sun but will still do well in light shade. The best aspect of the Persian parrotia is that it is disease-free and can withstand drought, heat, wind, and cold temperatures. Native to Eastern Asia, this species has become a popular landscape tree. This medium sized tree, is valued for its shiny, dark green foliage, rounded shape, and multiple colors/textures of its bark, hence its name. In contrast to the American Elm (U. americana), the Lacebark Elm is resistant to Dutch Elm disease, elm leaf beetle, and Japanese beetle, all of which cause significant damage to other elm species. The American Yellowwood is a medium sized tree that is native to the Eastern United States. Great for shade in smaller landscapes, this species is beautiful with its smooth bark, large hanging clusters of fragrant white flowers, and yellow fall color. 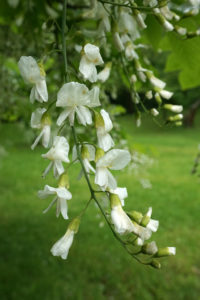 The American Yellowwood is drought resistant and has no significant pest issues. 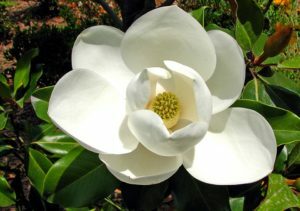 Native to the Eastern United States, the Southern Magnolia and various species of other magnolias tend to be disease-free. This large tree produces large, showy, fragrant, cream-white flowers in June. This species tolerates high soil moisture; however, depending on location it needs protection from winter winds to avoid leaf scorch. If wind and cold is an issue there are several cold-hardy cultivars, such as ‘Edith Bogue’ and ‘Bracken’s Brown Beauty’. Other disease and pest resistant Magnolias include the Star Magnolia (M. stellata), the Saucer Magnolia (Magnolia xsoulangeana), and the Sweetbay Magnolia (M. virginiana). Now that you have some options for problem free trees that thrive in Northern VA you can make a well informed decision while purchasing your next tree or shrub. 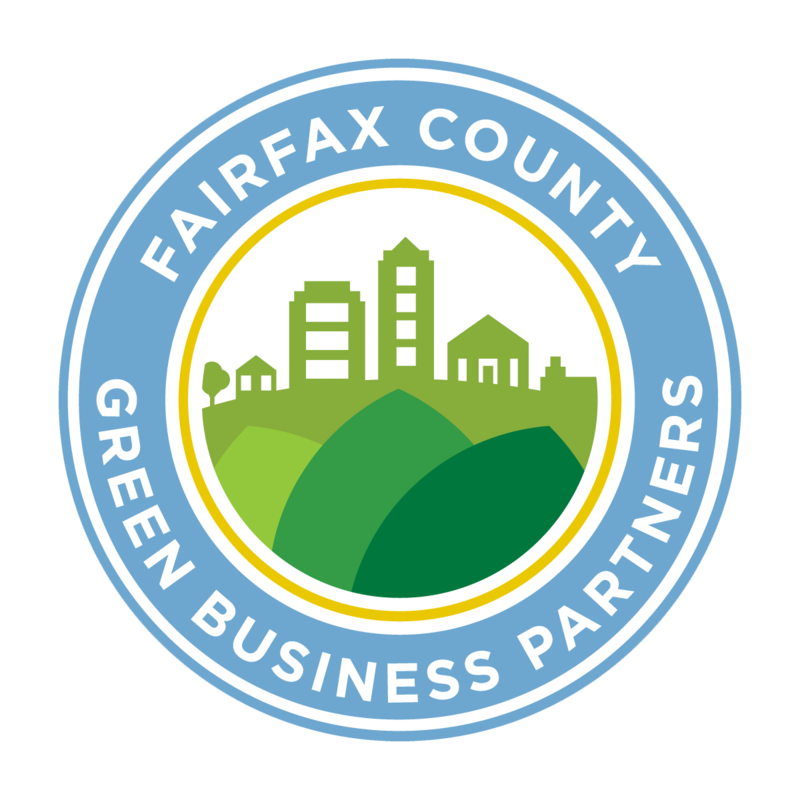 In the meantime, if you need help caring for your more problem prone trees, schedule an appointment with one of our Certified Arborists online or give us a call at 703-573-3029.